Since the outbreak of a military offensive against the Rohingya minority in Myanmar’s Rakhine state, Safiri has been living a nightmare. As a Rohingya woman, she’d suddenly become the target for indiscriminate, harrowing violence—civilian killings and the obliteration of villages—in her own home country. Safiri’s own village had been burned to the ground and her husband had been shot. One night, fearing another attack by members of the army, Safiri abandoned everything she owned and fled with her 12 children to the Balukhai camp in Bangladesh. They journeyed on foot for four days. Like many of the 600,000 Rohingya seeking safety in Bangladesh, Safiri’s arrival at the camp brought a new set of challenges—squalid shelter conditions and a lack of clean water, food, sanitation facilities and medical care. 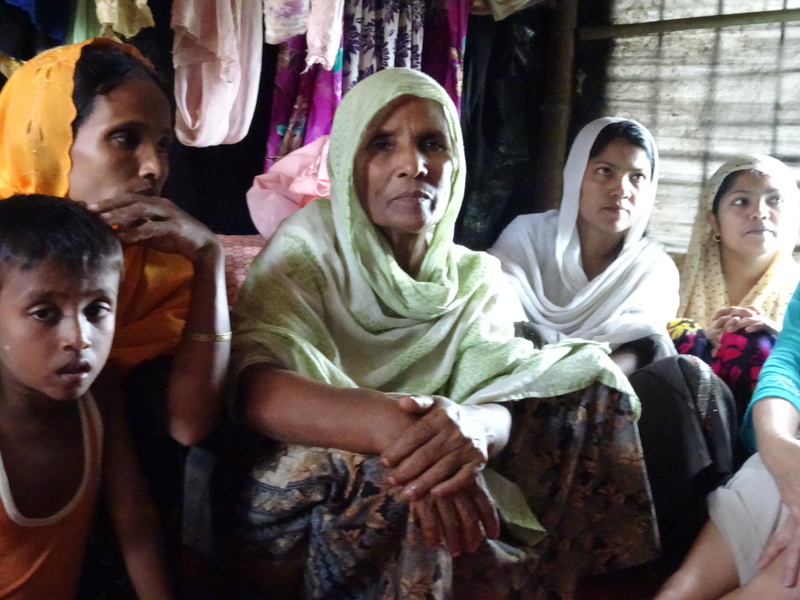 In the Jamtoli camp in Cox’s Bazar, eighteen-year-old Toslima fears for her newborn child. A stranger helped deliver the baby boy on the side of the road, with no hot water, doctor or midwife. Toslima was fleeing Myanmar when she suddenly went into labour. Both Safiri and Toslima’s stories of trauma and tragedy are hard to grasp, but their needs for survival are very real. PWS&D is responding to meet the needs of Rohingya refugees like Safiri and Toslima in collaboration with Canadian Foodgrains Bank partner World Renew. PWS&D is helping supply food essentials including oil, lentils, sugar and salt to 18,000 people living in the Cox’s Bazar region of Bangladesh. In response to the enormous need, the Canadian government announced a 1:1 match for donations. This is on top of the regular 4:1 match from the government through CFGB. The 1:1 match ends November 28, 2017. Please give today and your support will go twice as far. Read the original story, Seeing the Rohingya Crisis in Person, by Grace Wiebe, senior project manager with World Renew. PWS&D is a member of Canadian Foodgrains Bank, a partnership of 15 churches and church agencies working together to end global hunger.